SAN DIEGO (NNS) -- Sailors and Marines of the Essex (LHD 2) Amphibious Ready Group (ARG) returned to their homeport of San Diego, following a successful deployment to the Indo-Pacific, Middle East, Mediterranean, and Horn of Africa regions, March 1. The Wasp-class amphibious assault ship USS Essex (LHD 2), other ships of the Essex Amphibious Ready Group (ARG), and embarked 13th Marine Expeditionary Unit (MEU) visited Pearl Harbor Feb. 18-20. 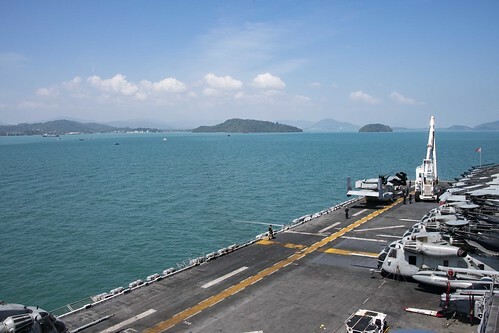 PHUKET, Thailand (NNS) – The Wasp-class amphibious assault ship USS Essex (LHD 2) and the embarked 13th Marine Expeditionary Unit (MEU) arrived in Phuket, Thailand, for a port visit, Jan. 24. 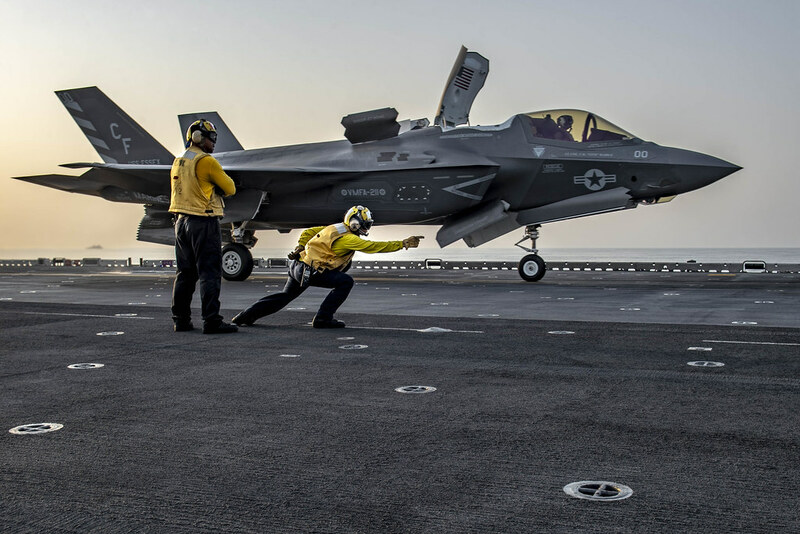 The 13th Marine Expeditionary Unit (MEU) and the Essex Amphibious Ready Group (ARG) with the attached Marine Fighter Attack Squadron (VMFA) 211 is the first continental U.S.-based Navy and Marine Corps force to deploy with the Lightning II. The Essex ARG/MEU team is currently conducting a regularly scheduled deployment. The amphibious assault ship USS Essex (LHD 2) and embarked 13th Marine Expeditionary Unit (MEU) arrived in Kota Kinabalu, Malaysia for a port visit after participating in Cooperation Afloat Readiness and Training (CARAT) Malaysia 2018, August 19. PACIFIC OCEAN–Sailors of the Essex Amphibious Ready Group (ARG) and Marines attached to 13th Marine Expeditionary Unit (MEU) completed ARG/MEU exercise (ARGMEUEX) off the coast of Southern California, May 10.